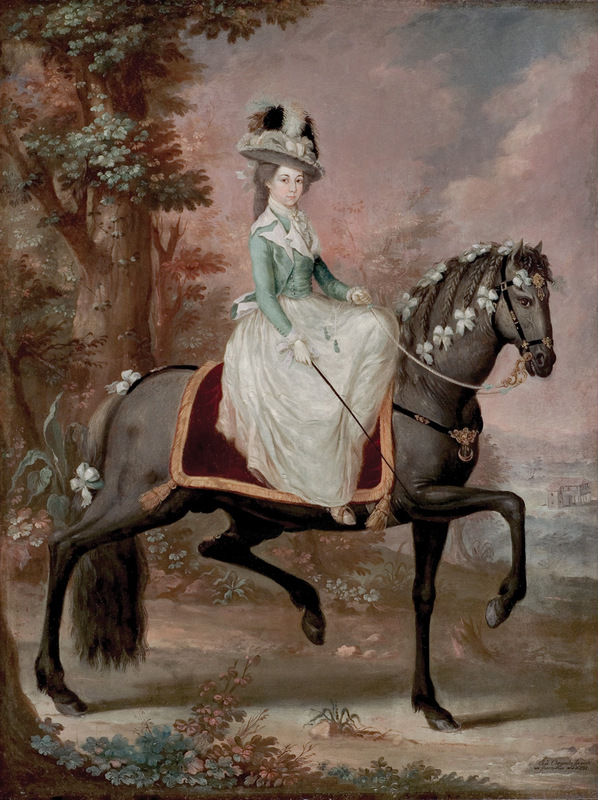 “Dama a Caballo” can be consider as one of the most Iconic paintings in Puerto Rico art history, But what made it a such a great Painting? It was painted by the titan called José Campeche who was consider as the first visual artist from Puerto Rico and considered as the most prominent portrait painter of all Hispanic America. Campeche not only gained local respect but also international fame. He is said to be the founder of visual painting in Puerto Rico. His paintings fitted perfectly in the Rococo style. This style comes from the Baroque Movement which the main point of this movement was intended to be elegant, refined and highly decorated. Dama A Caballo central composition depicts a paso fino horse beautifully decorated with gold and red silk while at a same time immortalizing what it seems as a powerful rich woman posing for us the spectator and inviting us to admire Puerto Rico scenery in the late 18th century. This Painting is a perfect example of the Rococo style and was sold in 1994 by Sotheby’s for more than a $260,000 dollars.